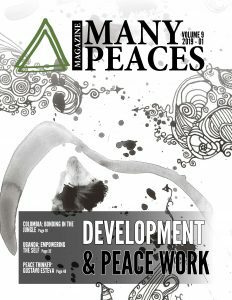 With Volume 10 of the Many Peaces Magazine we celebrate an important jubilee, five years after beginning this work within the field of peace journalism. 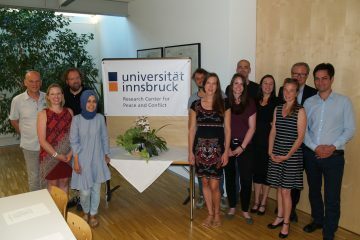 As a transfer-oriented outlet of the Innsbruck School of Peace Studies, we largely base our work on the pillars of transrational peace philosophy and elicitive conflict transformation. 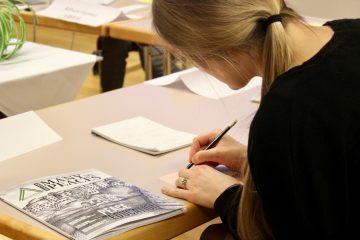 Many of our featured articles evolve around those two key concepts that have made Innsbruck one of the renown international centers for peace and conflict transformation. Given this occasion we want to turn our perspective inward and focus on the question of what an elicitive approach, which considers the role of the third party never as neutral and at best all-partisan, means for the field of peace journalism. Among others, we want to explore the question, how this perspective may translate into journalistic practice and what this may imply for the journalistic positionality. In this regard, we want to ask you, our potential authors for Volume 10: How can you translate your own research into peace journalism? What approaches and initiatives relevant for peace journalism are you involved with? 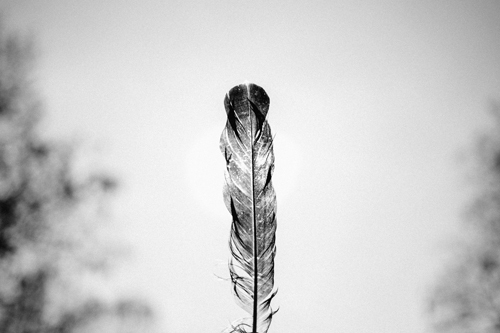 How has an elicitive and transrational approach influenced your work in journalism? What elicitive and transrational methods do you employ in journalistic work? Which story in regards to peace journalism would you like to tell? Contributions may entail formats such as reports, interviews, comments, photo-essays, book reviews and illustrations. Please send a 100 – 150 words concept of your proposed article to our Editor in Chief Clara Maier (clara.maier[at]manypeaces.org) by the 1st of March 2019.